Event at Loyola Coming Up! We’re expecting a big turnout for our first event at Loyola for the fall semester! 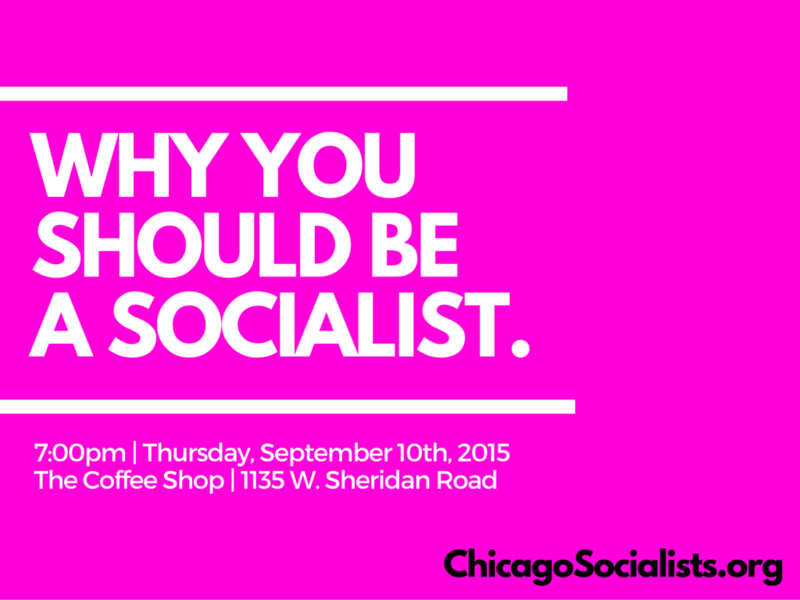 If you’re interested in progressive politics or simply curious about what socialism means, you won’t want to miss this event. We’ll kick things off with a brief presentation on what socialism is and then open things up for discussion. Hope to see you there!